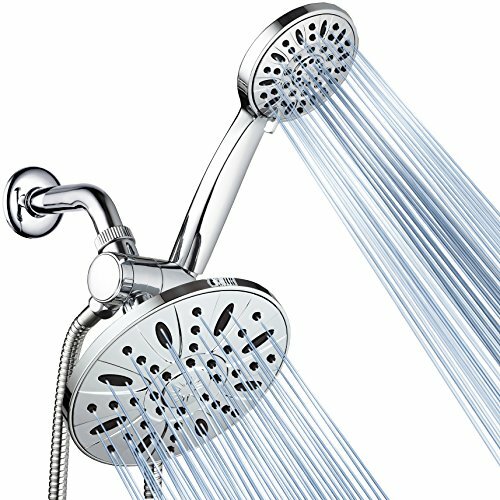 Ezelia Mission: To care about the shower experience of every customer! 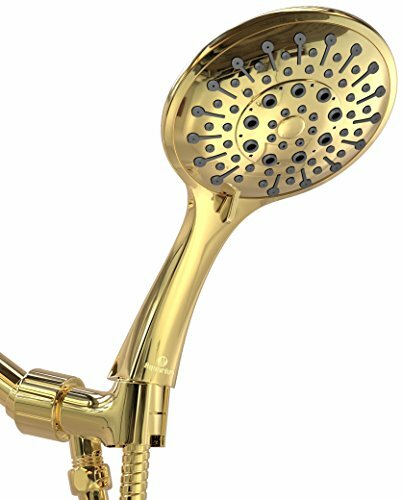 We insist on original design and careful manufacturing, which endows our products with new vitality and bringsthe most comfortable shower experience to every customer. 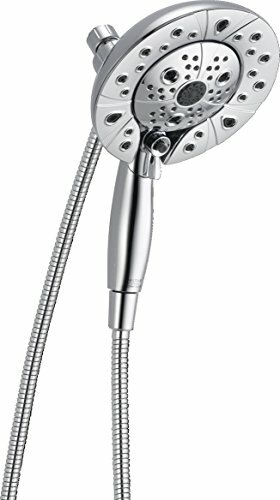 What does the package box include? 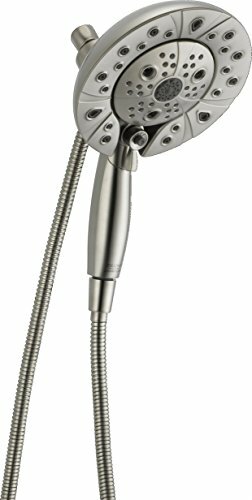 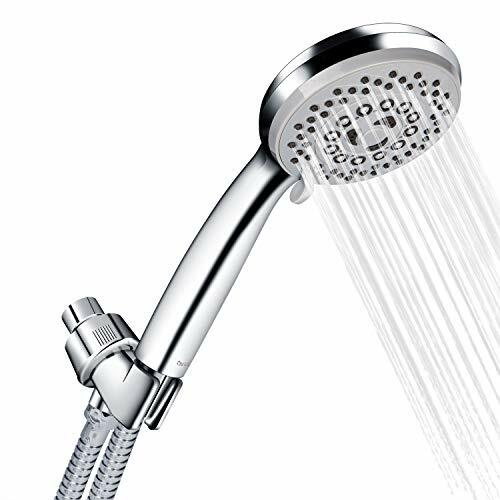 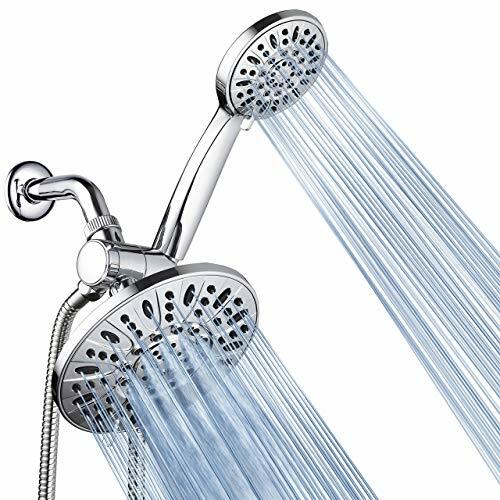 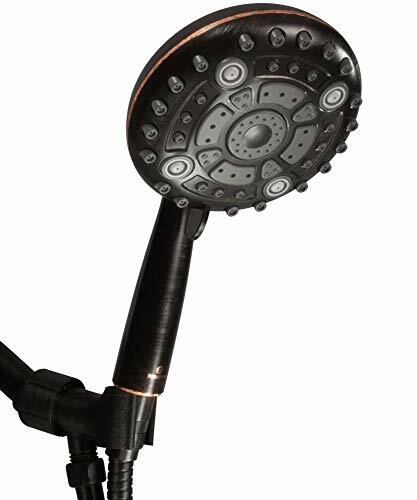 Gasket * 2 Teflon Tape * 1Adjustable Angle Bracket * 1 60 Inches Stainless Steel Shower Hose * 1 Handheld Shower Head (Contained Check Valve)* 1 What does the advantages of Ezelia shower head? 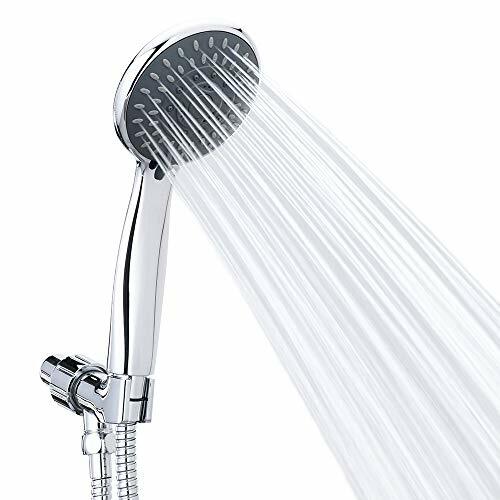 Adjustable angle bracket, get the best shower angle; 60 Inches flexible stainless steel hose for sturdy and durable; Anti-clogging nozzles prevent the build-up of minerals, for easy clean; 5-Settings shower designed: shower mode, massage mode, spa spray mode, mixed power mode, pause mode; Using the high quality ABS plastic material and chrome plated technology without toxicity or lead, prevent fading. 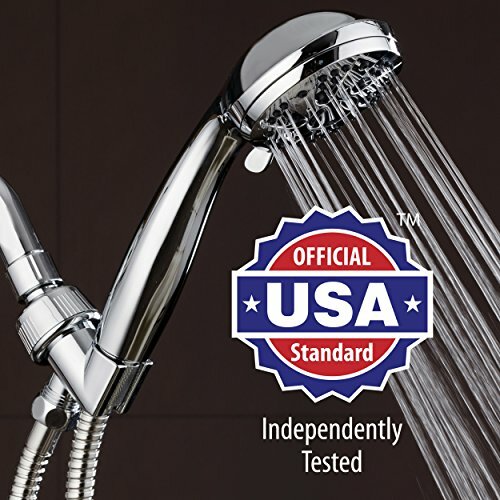 Our Promise If you have any questions, you can contact us through amazon, we will solve it for you in 18 pm-24 pm everyday. 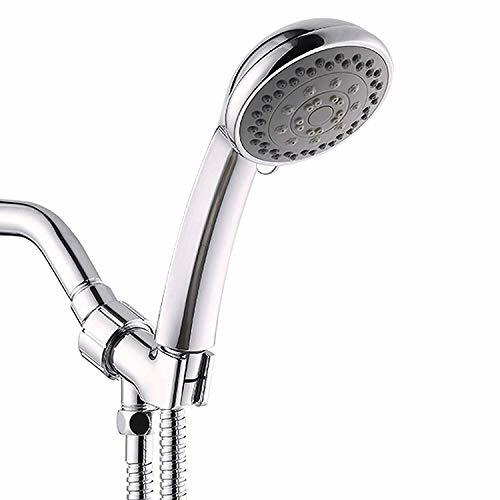 We will provide our products with two years warranty and best after-sales service.